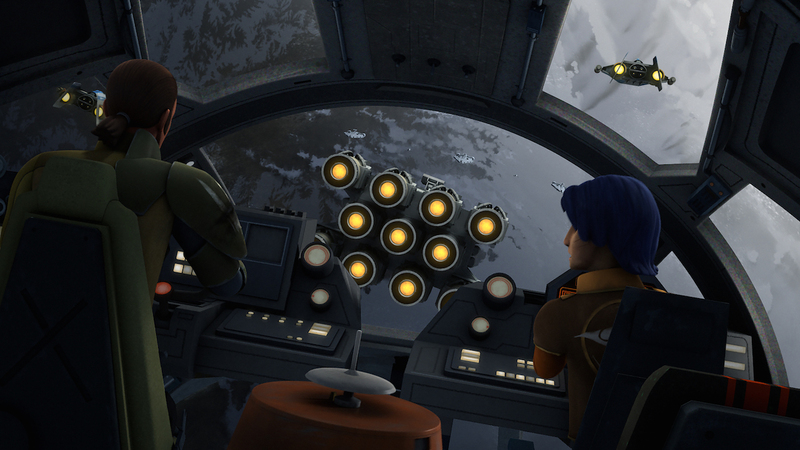 Witness the test flight of the B-wing prototype...and a defining moment for Hera Syndulla. 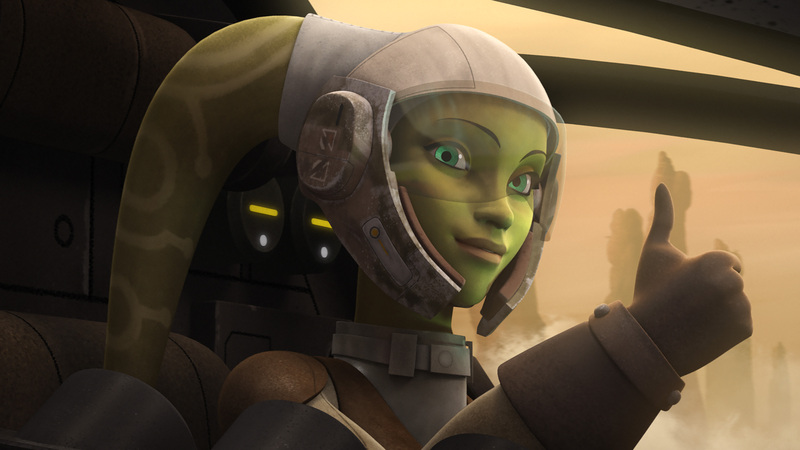 When a blockade run goes wrong, the rebel fleet needs a new ship — and Hera is sent to Shantipole in hopes of attaining it. 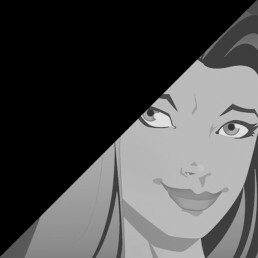 Can she fly on the “Wings of the Master” to help save the day? You know she can. Here are my 10 favorite moments from the episode! 1. 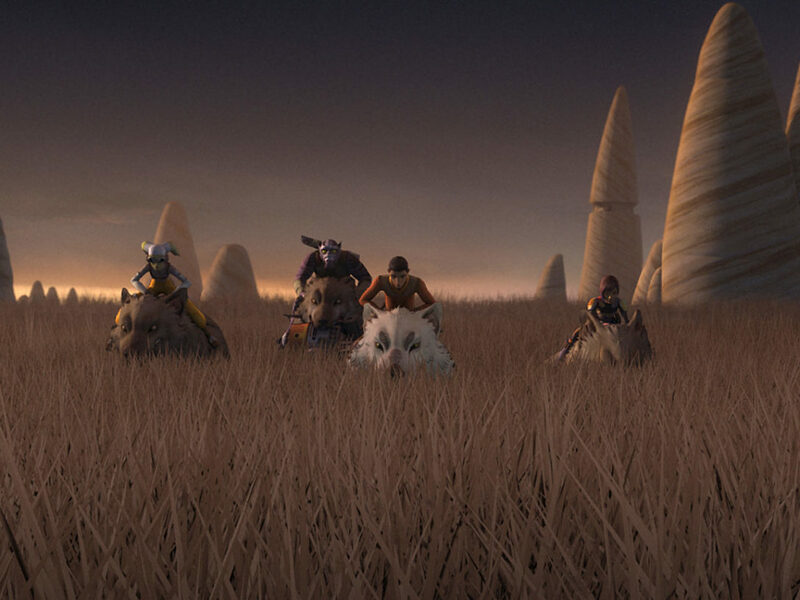 Hera leads the way. 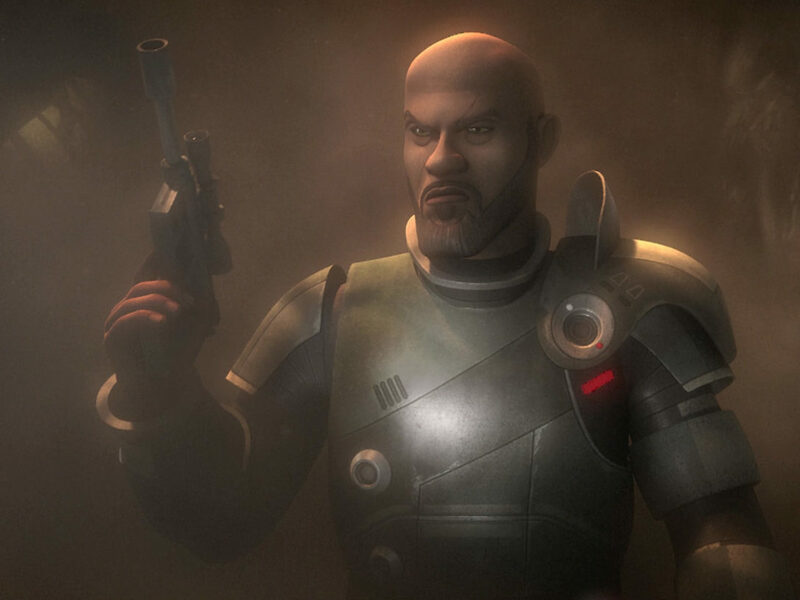 As Phoenix Squadron prepares to run the Imperial blockade on Ibarr, Hera’s leading the mission and her rhythm with the Ghost crew has extended to the new battle group. They may lose this fight, but it’s nice to see her taking charge. 2. Kanan’s not taking no for an answer. 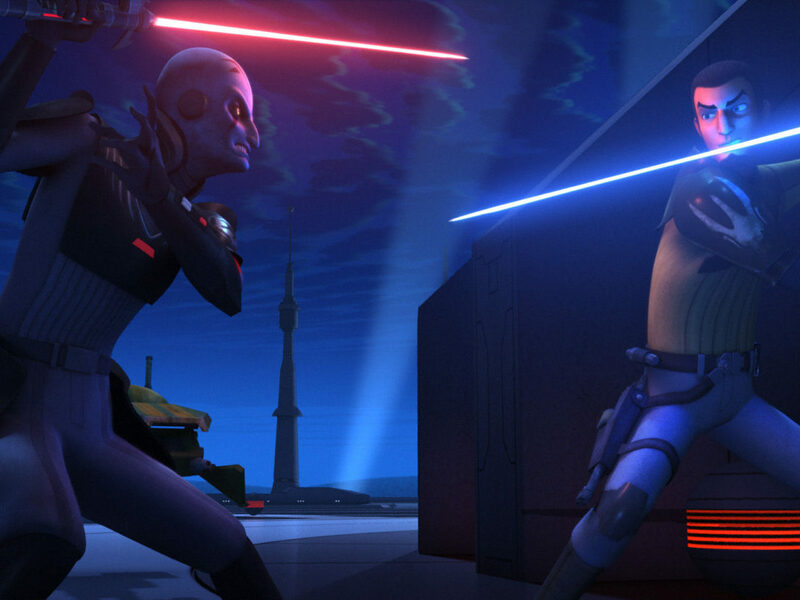 Once the decision is made to send someone to Shantipole, Kanan volunteers Hera immediately. 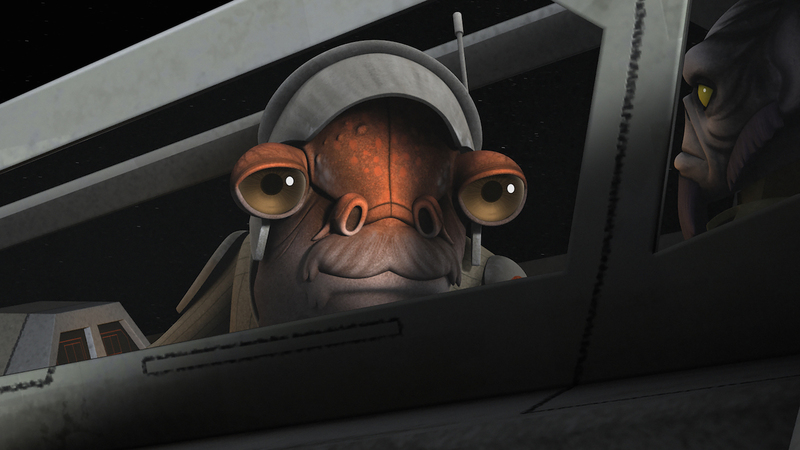 His reasoning is simple: they need the best pilot to bring back the best ship possible. In his mind, she’s the only one who can get it done. 3. The upper atmosphere is tricky. No kidding! Zeb is definitely BA Baracus on both the flight in and the landing, which proves they needed a pilot with Hera’s skills. 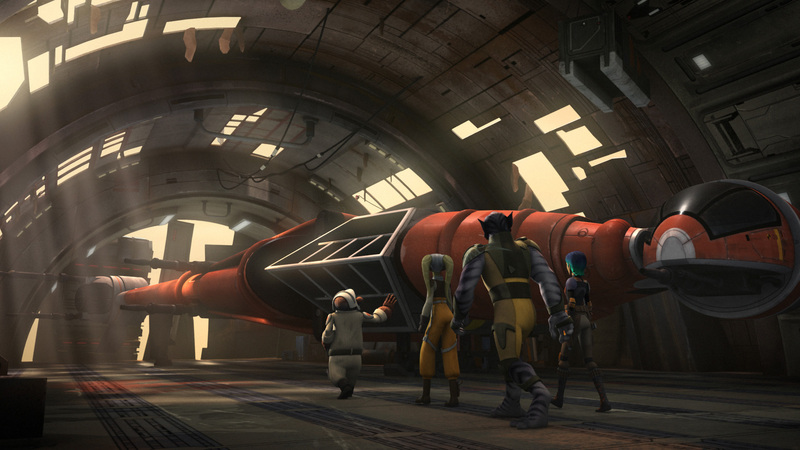 It makes sense; when we meet Quarrie, designer of the Blade Wing, he says that if it can fly here, it can fly anywhere. 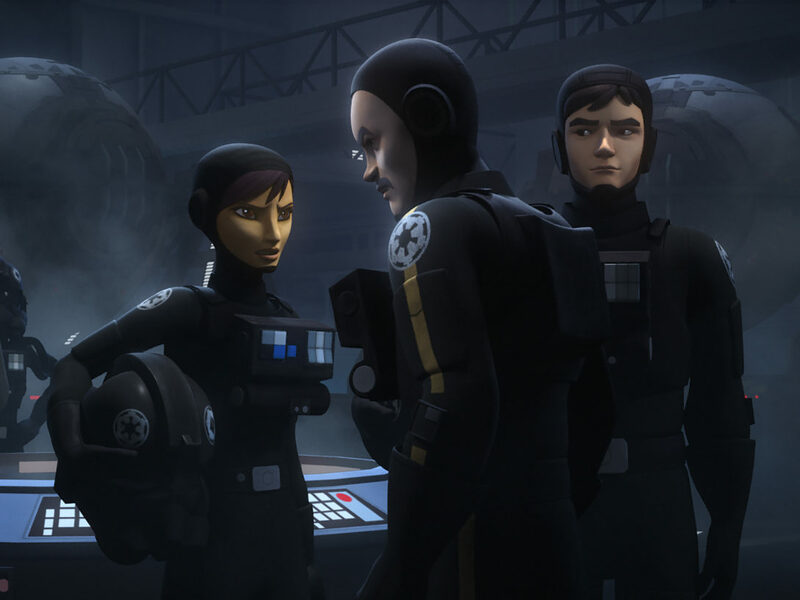 Zeb and Sabine aren’t impressed by this prototype Quarrie calls the Blade Wing, but Hera sees the potential from the beginning and is ready to go. Still, Quarrie hasn’t decided she’s the right pilot for his ship. 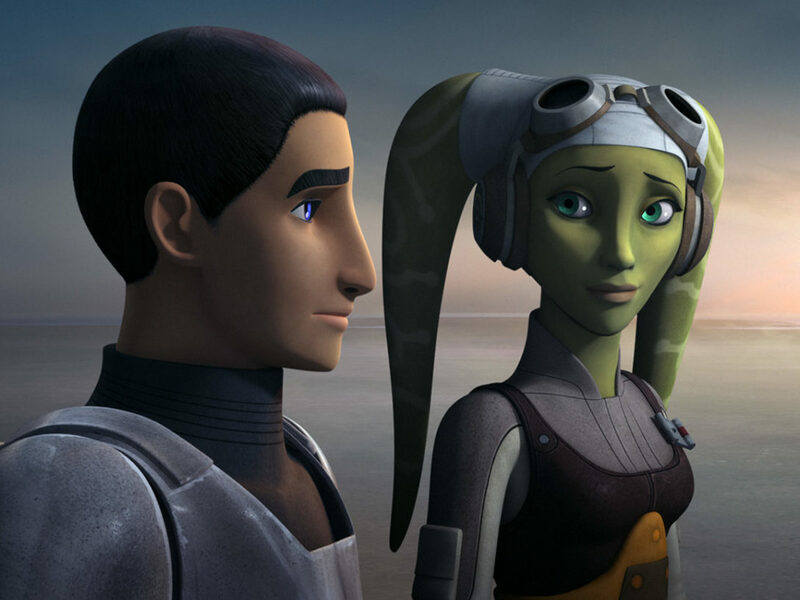 Whatever it was that Quarrie needed to hear to decide if Hera can have the B-wing, he hears it as Hera explains how flying makes her feel. Vanessa Marshall is so amazing in this scene and it’s a highlight of the series. 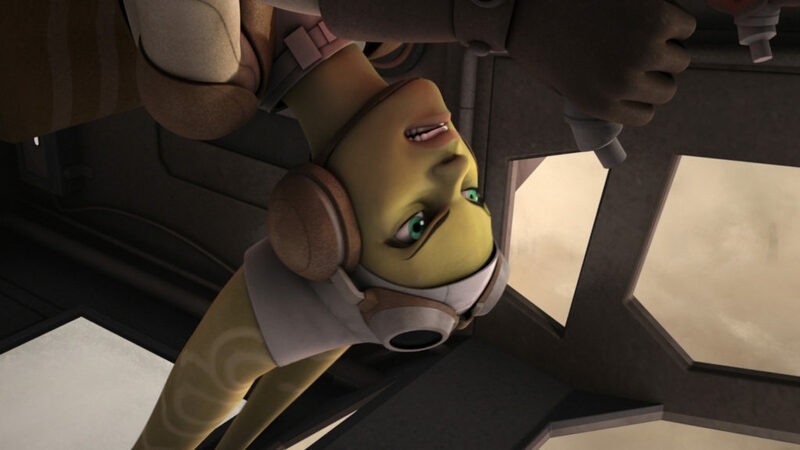 Hera’s maiden flight in the Blade Wing is one of the best scenes in Rebels. From the initial drop to the ship soaring through the clouds, everything about this scene works wonderfully. 7. Never get between a Mandalorian and a weapons package. 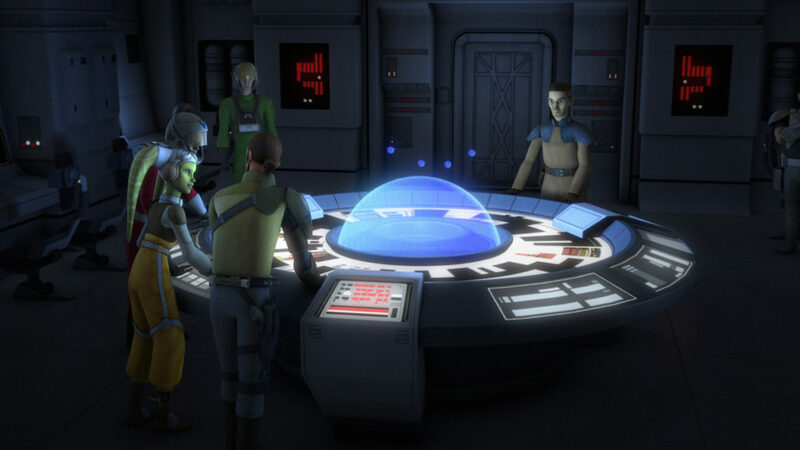 Once they find out Kanan’s about to lead the new blockade run, time is of the essence. 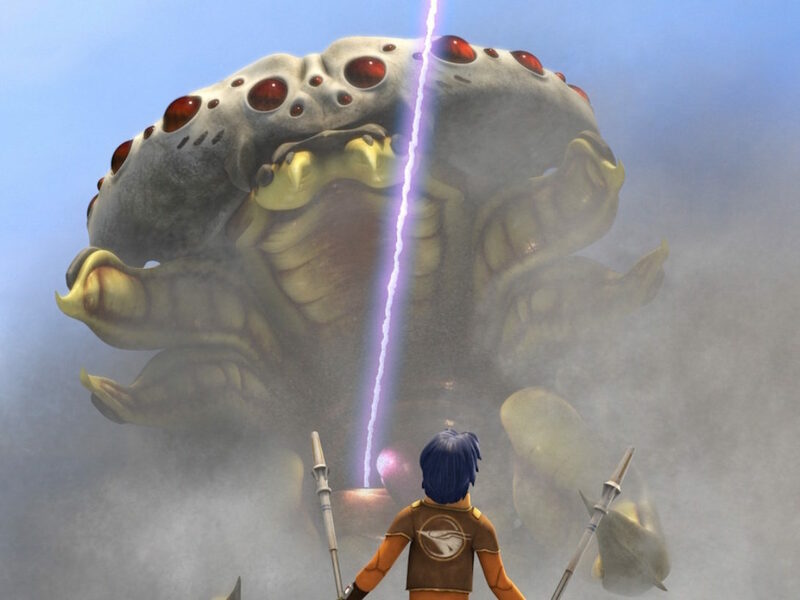 Sabine’s done her part, but the weapon’s test fried the hyperdrive on the Blade Wing. 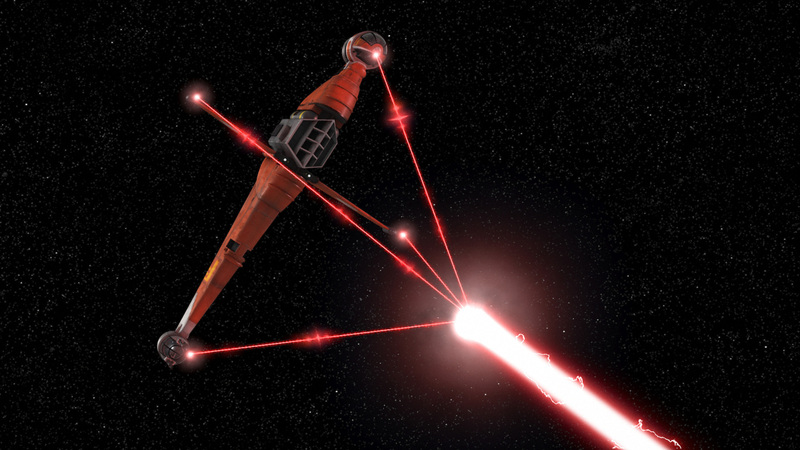 It’s a good thing Quarrie installed one on the Phantom. Talk about an upgrade! 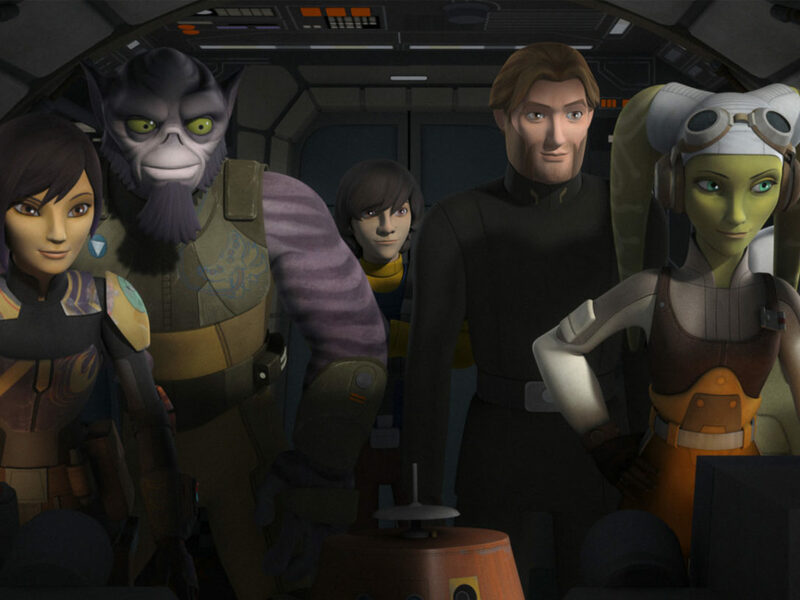 Kallus is feeling pretty good when he sees who’s leading the run (love that he calls the Ghost by name) and he’s unmoved when Hera flies in with the Blade Wing and says, “Stay on course, Ghost. 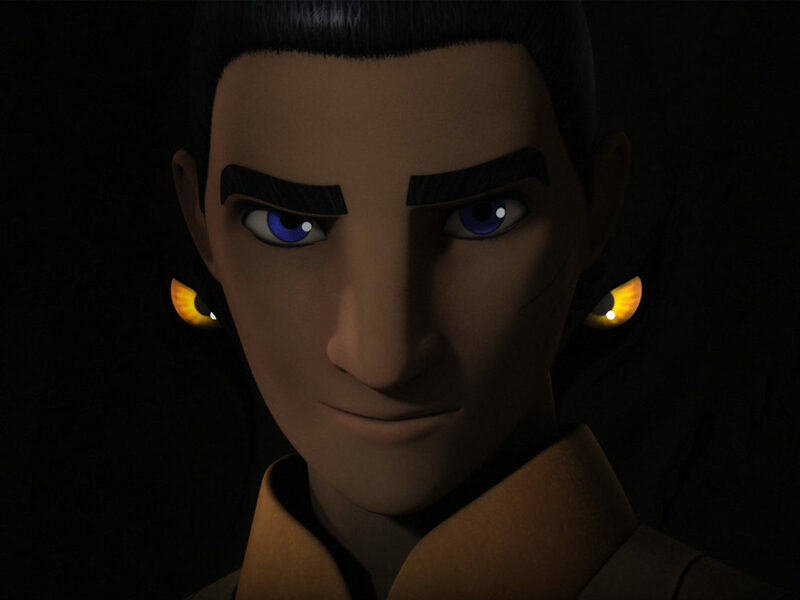 I’ll knock that cruiser out of your way.” Kanan’s proud smile grows as Hera fires — and Kallus’ smug smile completely disappears. 9. Project Shantipole is joining the rebellion. 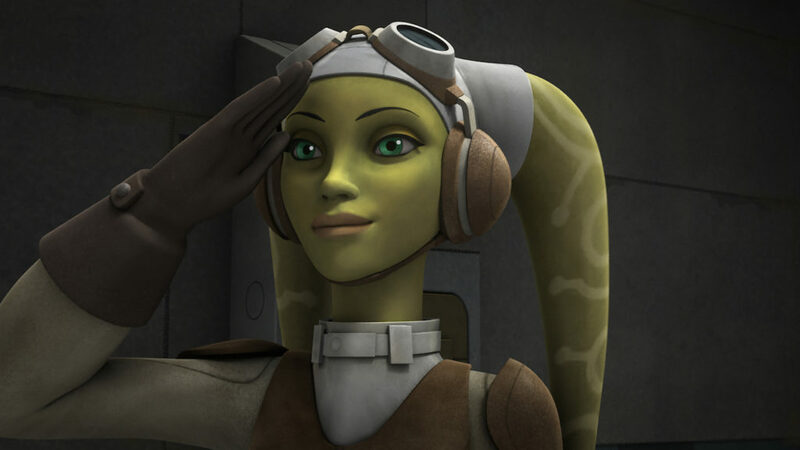 Kanan may have suggested the promotion to Commander Sato, but Captain Hera Syndulla has earned her new title. Her smile when she returns a salute from Kanan and the rest of the team is beatific and it’s fitting as the last image of the episode. Those were my moments for this week’s episode. Tell us some of your favorites in the comments and may the Force be with you!